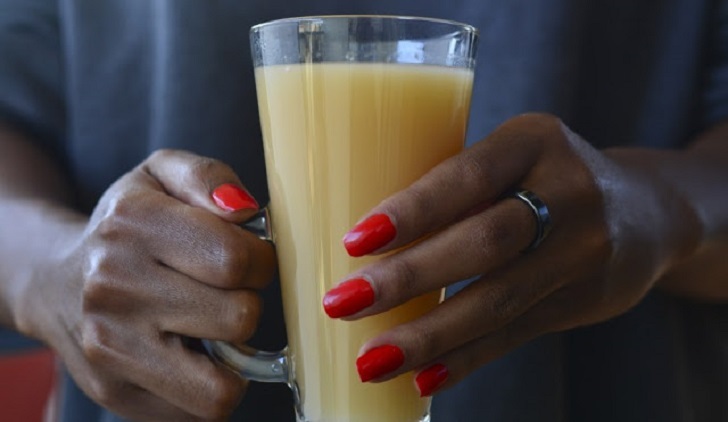 This lemon and ginger tea kicks things up a notch with the ginger and cayenne and works wonders in just a few minutes. For my version, I really go crazy with the ginger and ease up on the chili because I confess I am a chili lightweight but ginger is definitely my friend. It helps tame my allergies and is a great tonic for just about anything. Have it hot or cold! It’s perfect for warming you up this season and keeping those nasty colds at bay. So without further ado let’s make tea and feel better. ⏩1 Cup fresh ginger (About 1 handful): Garlic is one of the most powerful antibiotics and antibacterial herbs on the planet. It is a powerful immune booster and very important food for the allergy season. ⏩3-4 Tbsp Honey or Brown cane sugar: Honey has antibacterial, antiviral and anti-fungal properties, which help fuel the immune system. It is often used in many remedies to treat the flu and to help fight allergies.